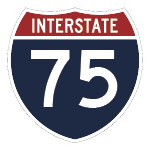 Interstate 75 in both directions is restricted to one lane in each direction through the work zone through noon on Friday, Aug. 3. Additional lane restrictions are possible at times throughout the duration of the project. A maximum width restriction of 13 feet is in place during the lane restriction. State Route 12 between township Road 238 and township Road 215, between Arcadia and Findlay, is now open following the replacement of a culvert. State Route 12 between county Road 330 and township Road 261, between Arcadia and Fostoria, closed Wednesday, Aug. 1, for approximately two days. U.S. 68 between Liberty Street and the bridge over Buck Run, within the village of Arlington, closed July 9 for approximately four months for a reconstruction project. Local access will be maintained throughout the project. Work is being performed by Miller Contracting Group, Ottoville. State Route 103 between the village of Bluffton and state Route 698 will be reduced to one lane through the work zone for a chip seal project. Work is expected to begin Monday, Aug. 6, and last for approximately two days. Work is being performed by the ODOT Hancock County maintenance garage.